Right, I’ll be honest here. 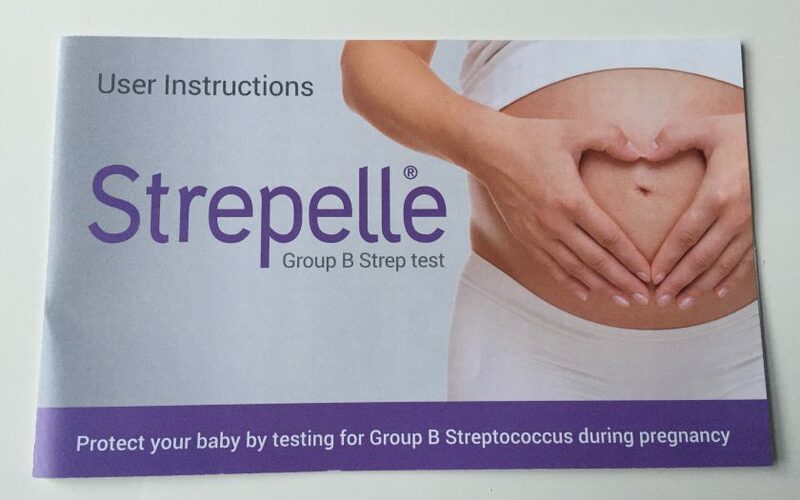 Before I was contacted to try out Strepelle, I’d never heard of the Strep B infection. Perhaps I was ignorant about infections that could be picked up during childbirth, or perhaps it’s something that isn’t really talked about. I mean, it was never mentioned to us at all throughout Laura’s pregnancy. But this serious infection unfortunately kills 70 babies each year in the UK. So what is Strep B? The Group B Streptococcus infection (often shortened to ‘Strep B’) is carried by one in four of all pregnant women. One in four! That’s a huge amount of people carrying an infection I’d never heard of before. Now, the bacteria from this infection can be passed to babies in the birth canal during labour. Contracting Strep B as a newborn baby can have lots of different consequences, but one in five babies that contract it will sadly suffer from serious, life-changing illnesses such as meningitis, septicaemia or pneumonia. The scary thing is, there are no clear symptoms that tell you if you are carrying the Strep B virus during pregnancy. 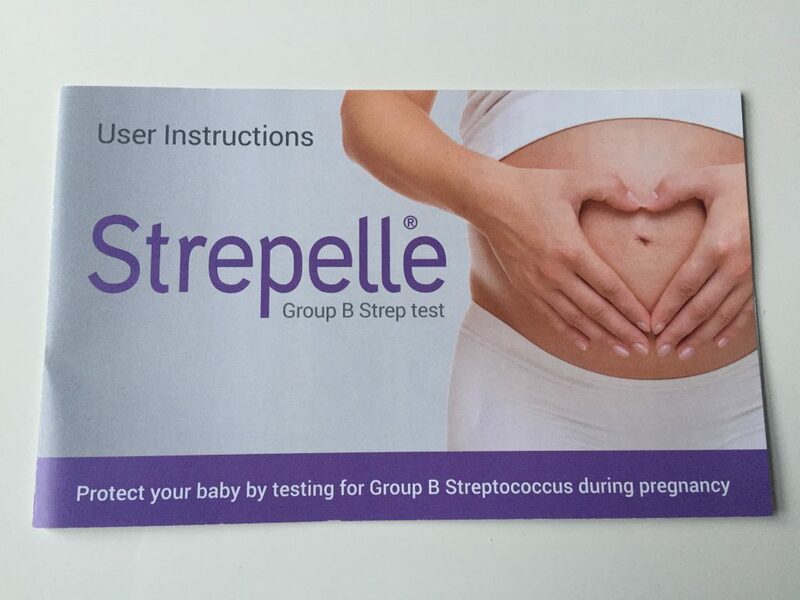 In many other countries, pregnant women are routinely tested for Strep B, but not in the UK. 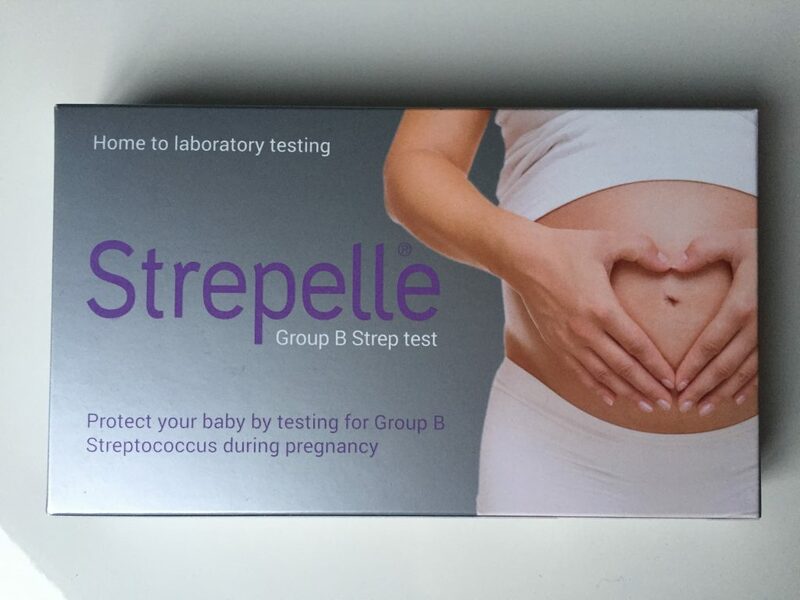 Thankfully, when Laura was pregnant Strepelle was able to help us out by sending us a testing kit, which can be used from 35 weeks onwards. I’ll be honest, it’s not the most glamorous of tests, but if it can help to identify a higher risk of infection, it’s definitely worth it. 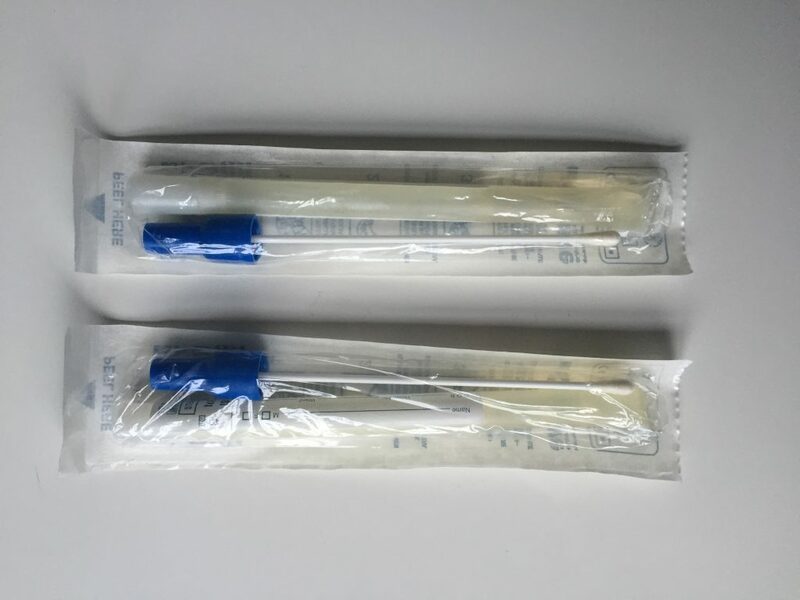 The box contains the two swabs needed – one vaginal and one rectal. Thankfully for me, Laura was able to collect the swabs herself and popped them in the test tubes to send back to the lab in the pre-paid envelope. I must admit that I let out a sigh of relief when I saw that the envelope was prepaid, otherwise I would have had to face the man at the Post Office who asks “What’s in the parcel?” anytime I drop something off. I don’t know how he’s react to me telling him that it contained a vaginal and rectal swabs from my heavily pregnant wife. Anyway, a few days later the good news arrived: Laura was not a carrier of the Strep B infection and no further action was needed. We were really relieved with this, as the pregnancy had been pretty much stress-free. We had wondered if this was going to be the curveball given to us at the end! If the results had come back positive, Laura would have had antibiotics pumped into her during labour, which would then help protect the baby from infection. I was really surprised by how easy this test was (although it wasn’t me that was having to put a swab where the sun don’t shine!) and for £39.99, I think it’s a reasonable amount to pay for the piece of mind that it can bring. Strepelle can be purchased direct from the Strepelle website by clicking here. 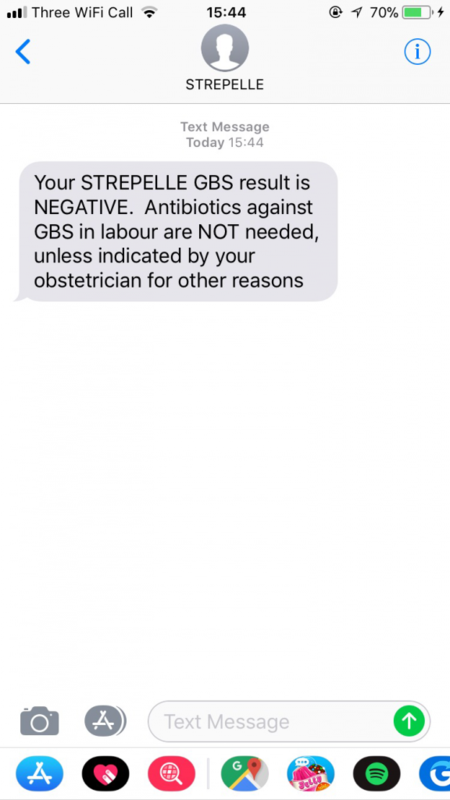 For more information about Group B Strep, check out the relevant pages on the NHS website by clicking here. This sponsored post has been written in collaboration with Strepelle.